Does your eliquid contain poo??!!! ecigforlife is a leading premium vapour device and supply retailer. Based within Australia and plans to expand on the horizon, ecigforlife is paving the way for effective and innovative vapour device usage. We are not your average vape store in Melbourne. We aspire to build a tobacco-free community, through products that reduce negative impact on the world. While we recycle vapour liquids bottles (Yes! bring them in!)... our impact is most fully realised by our loyal customers who can consistently rely on quality and innovation. The ecigforlife branding is built on a mission to encourage a tobacco-free lifestyle by providing consistent education about the vaping industry, and a commitment to supplying reliable, high-quality, vetted products. We want our customers to understand exactly what they are consuming and how to correctly consume it. We would be overjoyed to lose you as customers – not because we don’t care about you, but because we DO care. We'd be happy to lose you as a customer, too, if that meant you put down both cigarettes and vaping for good. 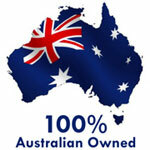 ecigforlife Provides Vaping Products Australia-wide. Thousands of happy clients can't be wrong about our vaping shop online. ecigforlife is a fully Australian owned and operated website servicing across the globe with international express deliveries. If you want to buy any of our vaping products online, we are your one-stop destination to cater to your vaping in Australia. ecigforlife is an online retailer and does not have a shop front presence, but we do offer a pickup option for fully paid orders. Currently the sale and supply of Nicotine in Australia is not allowed. We do not sell, gift or supply Nicotine - please do not ask us too, as refusal often offends. ecigforlife stands for quality products, so when it is about finding the options of vape in Melbourne, simply count on us. We stock high quality vaping products. ecigforlife is one of the Australia's top suppliers of vaping starter kits, accessories and e-juice, where quality and customer experience is everything. Committed to selling a range of the best vaping products available today, we are specialised in a focused and selected range of products, which are regarded as some of the best available and which gives a high level of user experience! So when you want to buy from the vape shop online, you know who to come to - ecigforlife the most trusted supplier. To experience the best vaping in Melbourne, the vaping products should be of the highest quality. If they are not (or a copy/clone item) they could lead to disappointment. Try our top brands - they are one of a kind in Australia. We are open 365 days a year and deliver throughout Australia with 24/48 hour AusPost e-Parcel Express. Our safe and secured service delivers directly to your doorsteps through tracking number and signature for your protection. NOTE: Shipping rate calculations are through Australia Post. We supply genuine OEM Original products direct from our suppliers. All products are held locally in our Australian warehouse and orders ship out to customers on the same day as ordered straight to your door. Same day shipping cut off time 3-4pm. ecigforlife offers some of the latest electronic cigarettes for sale and distribute globally via the www.ecigforlife.com.au website. Payment options include Westpac Australia EFT Bank Transfer, American Express, MasterCard, Visa, PayPal. * Always read the instructions and use strictly as directed. Always charge your eCig on a non flammable surface. For some of the best e-cig Australia has to offer, come to ecigforlife. Electronic cigarettes are not medical devices and are not intended to diagnose, cure, treat or prevent any disease or other conditions. If you have any health problems, consult your doctor before using your vaping device and/or electronic cigarette. Vaping devices are not intended to administer medicinal or illegal products of any kind and doing so voids the warranty. You must be of legal smoking age to purchase our products and/or accessories. Do not allow children, women who are pregnant or breast feeding, and those with life threatening illnesses to use vaping devices. The manufacturer is not responsible for any damage or personal injury caused by inappropriate, incorrect, or irresponsible use of our products. Any illegal use of these vaping devices could subject the user to severe fines, penalties, and/or imprisonment under the law of your jurisdiction. Note: Prices shown are in $AUD and exclude G.S.T. G.S.T will be added and shown prior to cart selection and shown at checkout prior to payment. Why shop at ecigforlife com.au?